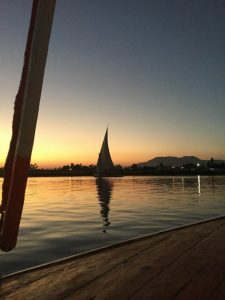 We are having a very busy start to our winter season with a cruise on a sandal(small version of a dahabeya) for two guests and several felucca trips. 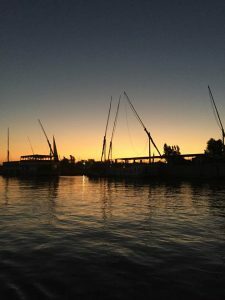 One guest described it “sunset sail on the Nile… the very air is like silk – I will be watching this video often to keep me warm inside come during the winter months”. She is from Canada so a Nile cruise is just the sunshine she needed. Nile Cruises can be from Aswan to Luxor or Luxor to Aswan, it takes 3-4 days and you get to stop at all the places along the Nile not just Edfu and Kom Ombo. 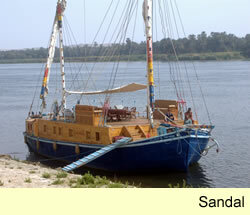 Having breakfast in front the Speos of Horemheb at Gebel Silsila is a truly magical experience and only a sailing boat can moor there. Enjoy eating fish caught in the Nile cooked by our experienced chefs, watch birds and other wild life as you silently sail along, having a go at steering. 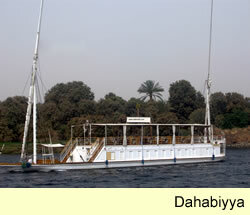 Unique experiences that can only be experienced using Sail the Nile. 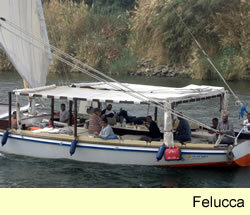 Contact us for details for a superb cruise on the Nile.